An exhibition about slave life at Rosedown Plantation in Lousiana sparked criticism after describing enslaved people as "happy" and "well taken care of." 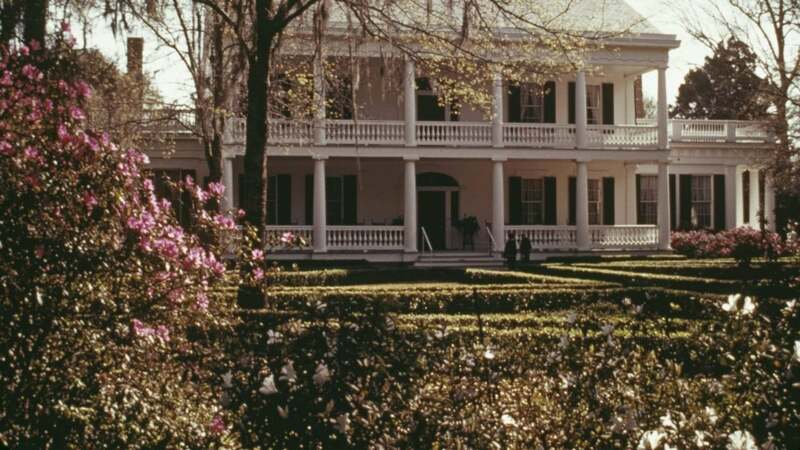 Today in revisionist history, a Louisiana-owned plantation had to take down an exhibition sign at the tourist destination which detailed how “happy” and “well taken care of” enslaved Africans were. To add insult to injury, when called out about it, officials with the Office of State Parks called the sign, found at Rosedown Plantation, a mistake. According to the Advocate, Deputy Assistant Secretary of State Parks Brandon Burris claimed that he did not know how long the sign had been up, although the “mistake” has since been removed. Some people, who know better, aren’t buying the excuses. The sign in question was posted in the detached kitchen as part of the “Slave Life at Rosedown” exhibit. At one point, some 850 enslaved Africans were forced into labor on what was once one of the antebellum South’s richest plantations. However, to read the sign, one would think that everything was all fine and dandy. Burris, however, insisted that the sign did not reflect what state historians or park administrations believe about this nation’s history. Instead, the curators behind the exhibits apparently were quoting from a book named after the plantation by Sarah Bowman, one of the last members of the family who built the plantation. However, the exhibit sign failed to make note of that and how far removed this rhetoric is from reality. “Those signs are inaccurate,” Southern University Historian Charles Vincent told the Advocate, backing that statement up by citing multiple scholarly sources. “I’m not saying we should get rid of these things. But they need to be put in the proper historical context. We do ourselves no favors by pretending that thing didn’t exist when it did,” Samuels added.